Take home wonderful memories from the tropical island of Phu Quoc, as you indulge in fun-filled and educational activities for both the young and old. The lazy hazy days of summer, along with the much-awaited school holidays call for a family vacation at a destination that offers plenty for both the young and old. 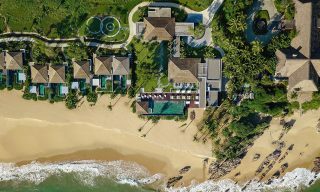 If you’re looking for an island getaway aside from the usual Bali or Phuket, consider heading to the tropical island of Phu Quoc in South Vietnam. Nature lovers will be pleased to know that Phu Quoc is listed by UNESCO as a World Biosphere Reserve in 2006. In fact, the island itself is covered with at least 50 percent of the national park and is home to world famous pearl farms, as well as thriving marine life and rich coral reefs. 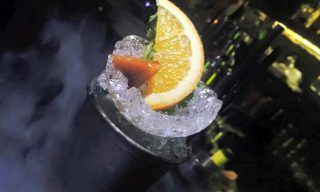 The resort sits along the tail end of Long Beach, a mere 15 minutes’ drive from the international airport and 20 minutes from the island’s main town of Duong Dong. This spot along the 20-kilometer stretch of beach is the perfect place for families to experience the picturesque tropical beaches and pristine waters of Phu Quoc, as well as the cultural charm of nearby towns and stunning ocean sunsets. Parents will have a peace of mind dropping their little ones off at the 250-square-meter Planet Trekkers Kids’ Club, where they’ll be fully supervised certified nanies. Kids can look forward to forming new friendships and engaging with lively and culturally-inclined indoor and outdoor activities. These include games and themed activities that introduce children to the vibrant Vietnamese culture, dancing, acting, as well as crafting items like conical hat and lotus lanterns. Also featured are fun drama lessons, dress-ups, and a show at the resort’s auditorium for their biggest fans—the parents. Water-based activities at ‘Splash!’ family pool include time on the water slide and games, feeding the Koi fish, and hunting the gnomes in the herb garden. 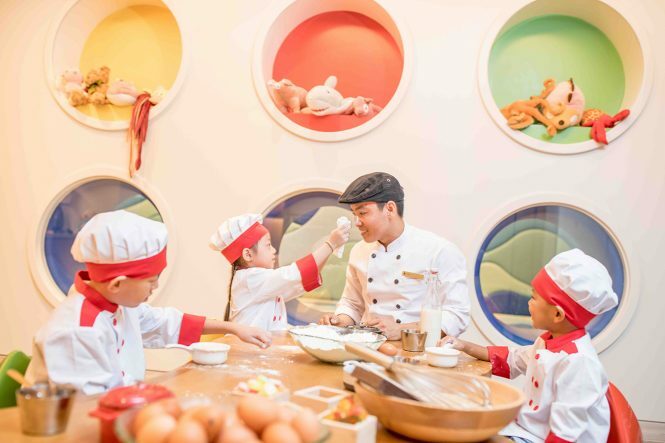 Plus, the resort has a dedicated children’s dining area, which doubles as an exciting ‘Kids Can Cook’ cooking school, leaving children entertained for hours on end. Guided by the resort’s chefs, supervised by professional associates, children can not only learn and practice preparing their favorite treats, but also gain knowledge of local ingredients. 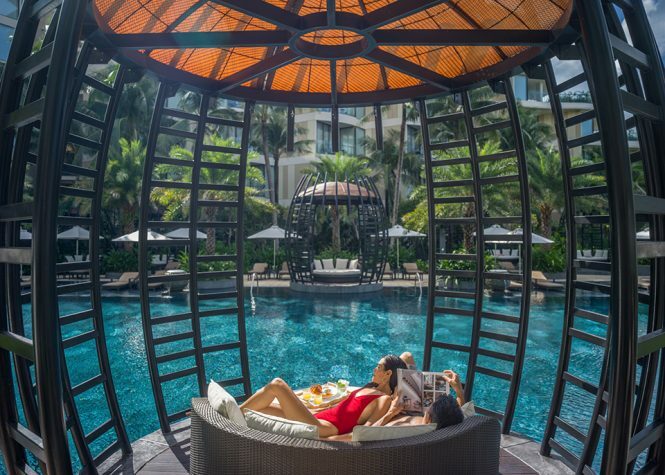 With their offsprings well taken care of, adults can enjoy their time relaxing at the exclusive HARNN Heritage Spa or enjoying a glass of champagne at the INK 360 Sky Bar. 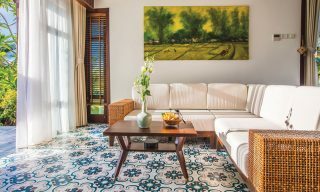 The latter offers 360 degree views of Phu Quoc and the surrounding waters. The resort also provides a daily schedule of ever-changing recreational and watersport activities that are suited to all-ages. There is also a games room called The Hideout complete with computers, videogames and consoles, reading corner, and an extensive library of DVD movies and board games. Across the resort are four swimming pools to relax at. Oasis pool, situated close to the beach, is surrounded with spacious pool decks and beautiful panoramic views across the ocean horizon. The infinity lap pool Vista is ideal for an aquatic workout or leisurely laps in a calm environment, while the lively Splash! Family pool has been designed specifically with children in mind. Located next to the Planet Trekkers children’s club on the northern side of the resort, the landscaped pool features fun water slides and inflatable toys to provide hours of enjoyment for younger guests. Couples seeking a romantic night out for two are welcome to leave their children in their room or suite, with well-trained babysitters and nannies for hire. 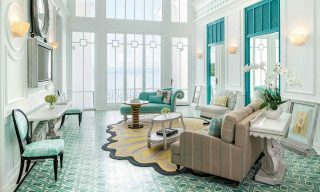 Suited for families large and small, the resort’s 459 rooms span one-, two-, and three-bedroom suites with kitchens. Meanwhile, multi-generational families seeking more space and privacy can book the luxurious villas. Family Suite Reservations also come with a personal welcome by a Planet Trekkers Host for children under 12, while parents enjoy a private resort and room orientation on check in. Additionally, children will receive special Children’s Welcome Kit with an activities schedule, resort map highlighting the pools, club and games locations, a coloring book, and their very own name badge sticker. On the dining front, children will love the pastries and sandwiches of Mercado café, as well as their delicious picnic baskets available for family excursions. The Sea Shack on the beachfront will delight the little ones with its marine-focused menu of tapas style BBQ and grill dishes, while Ombra by the pool serves traditional pizzas, homemade pastas, and gelato to tempt all ages. At Sora & Umi, Japanese and Vietnamese cuisine is enjoyed alongside live cooking stations and features a dedicated space for children to dine and play while parents enjoy their meal. Happening from June 15 to August 18, 2019, the inaugural Planet Trekkers Kids Camp takes advantage of the luxury resort’s numerous swimming pools, landscaped gardens, pristine white-sand beach, Kids Can Cook cooking school, and 2,500sqm Planet Trekkers children’s club to host fun-filled days of games, educational activities and creative arts and crafts this summer. Book your next family vacation here. 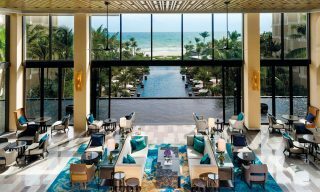 This article was brought to you by InterContinental Phu Quoc Long Beach Resort.